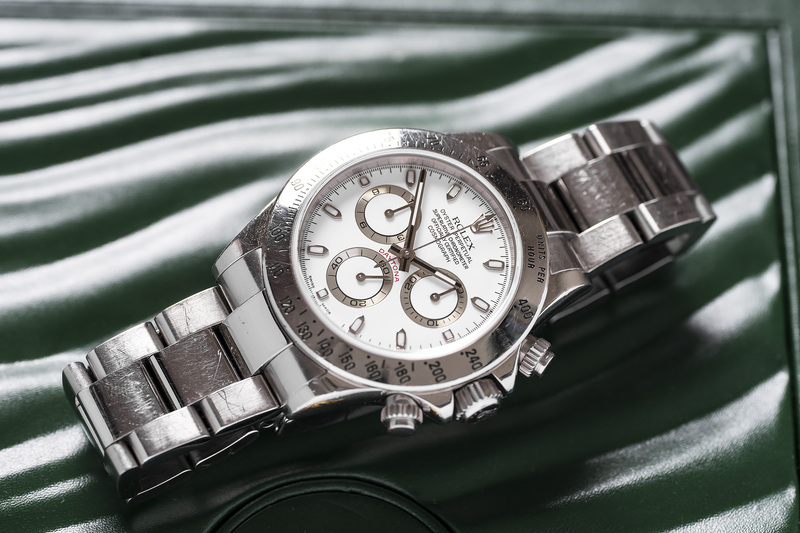 So, you’ve just seen the photo’s and the first thing you probably noticed is the fact that this Daytona is bombed with hairline scratches. Since the watch came from the first owner and was never serviced or polished, we chose to leave the case, bracelet and bezel untouched. We will leave the decision to perform a full polish of the watch with the new owner (please don’t!) We did however, fully serviced the Daytona it’s 4130 movement, there are absolutely no issues when it comes to the performance of this high quality chronograph movement – it’s like new again! 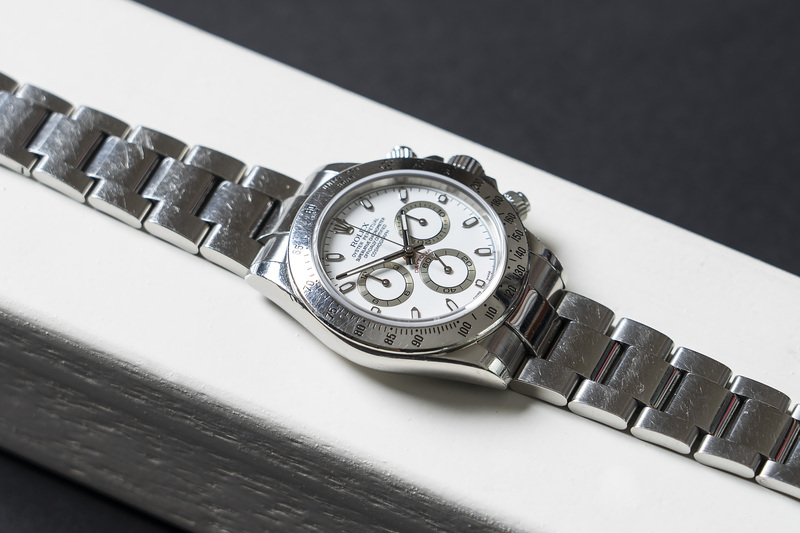 As mentioned, this 116520 Daytona came from the first owner who bought the watch new in August of 2006 after being on the waiting list with an official Rolex AD for about a year (wish that was the case today!) 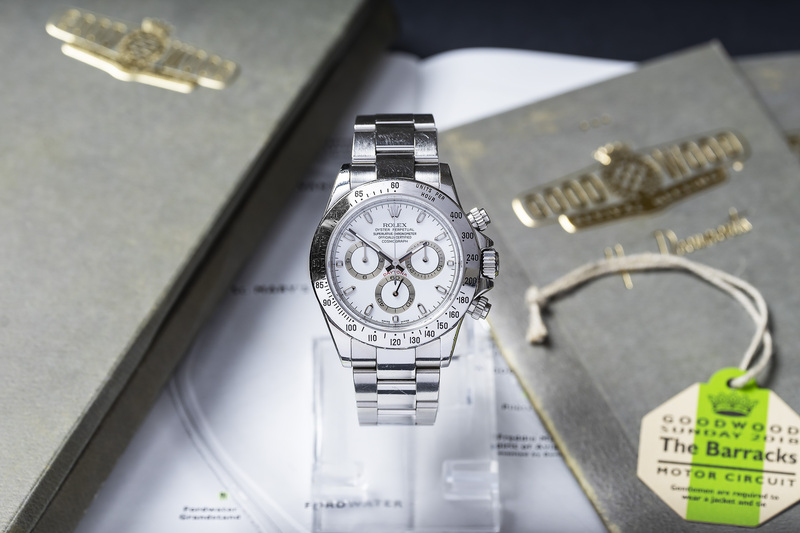 He wore the Daytona literally day and night, everyday for the next 13 years, till a few weeks back – when he dropped the watch off at our office. A good thing is he wore the watch a bit wide, meaning it was loose on his wrist. Therefor there is hardly any stretch in the 78490 Oysterlock bracelet! 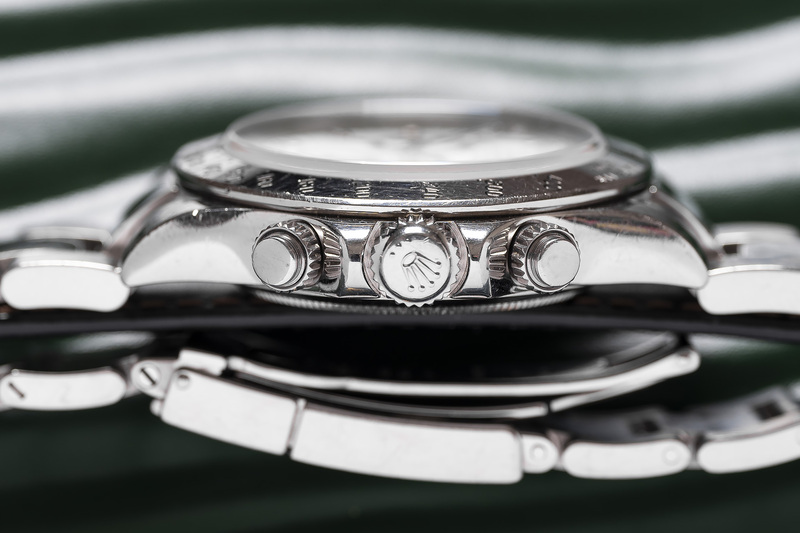 Even though the case, bracelet and bezel show hundreds of hairline scratches, you can still clearly see all the sharp lines, on for instance the bezel and on the outline of the numbers engraved on the bezel. Same goes for the bracelet, folding clasp and case. 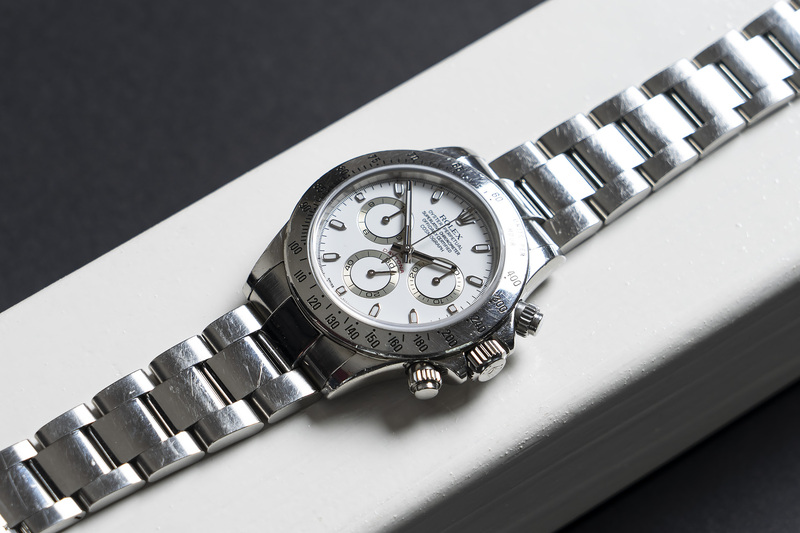 This is just a wonderful and Iconic Rolex in a 100% original condition, that has proven over time to be the right watch to buy! 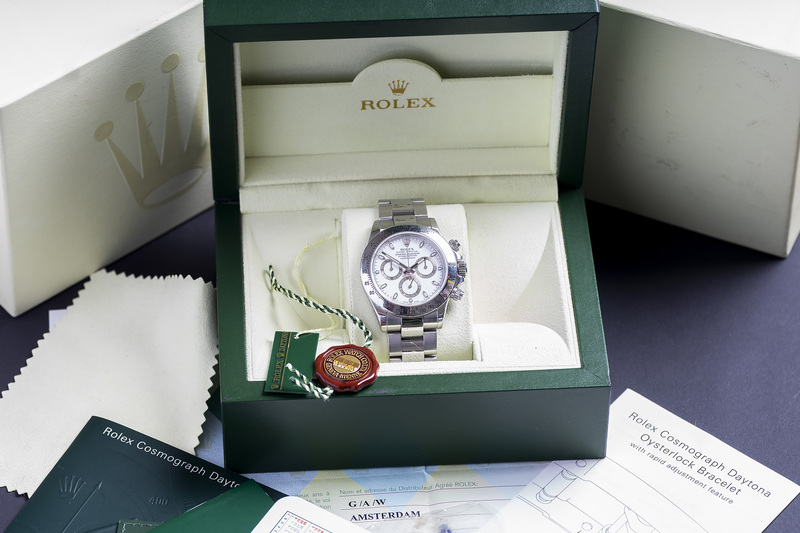 The entire 4130 chronograph movement was fully serviced according to the Rolex specifications and will be sold with a twelve month warranty.